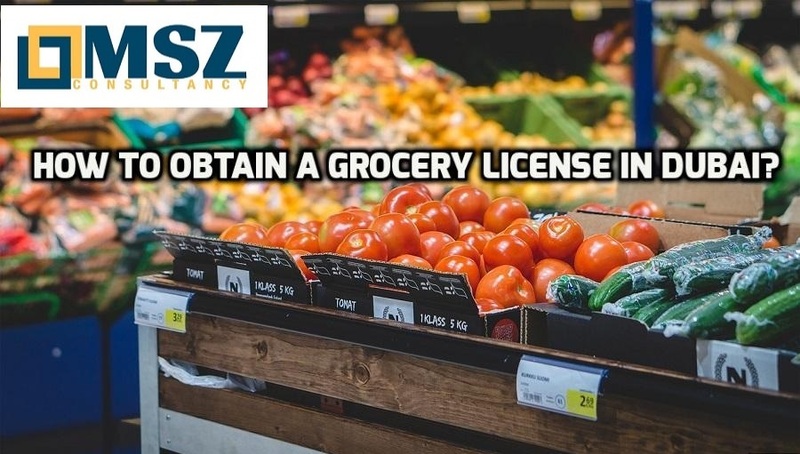 Grocery license in Dubai – In 2016, the Business Registration and Licensing (BRL) sector in the Department of Economic Development (DED) were announced the new standards and criteria for licensing groceries in the Emirate. They have advised all grocery stores in Dubai to integrate the new standards before the end of 2018, with the aim of establishing a uniform identity for all groceries and making them look consistent from inside and outside in line with international standards. It must comply with the standards of the Health & Department of General Safety of Dubai Municipality with view to the design of the store, display of product and classification, training, storage, health, smoking, personal hygiene and also forbidden pets. Activity Description The activities are based on the marketing of certain consumer products and goods; such as fresh, canned foodstuff, preserved, household utensils, as well as detergents. • Policy of sale will be acknowledged to the customer through a reasonable methods of declaration together with the commodities replacement, return or reparation. • The Department should be knowledgeable of the existence of any fake products or supplies in the local market. • The advertising sign boards are not allowed to display on the front wall of the store until and unless the prescribe permit is not obtain. • The customer shall receive an invoice for the purchased commodities. • Pots, electric devices, vegetables, fruits, clothing and also toys of kids must not be over display. • The selling of the products which carry fake trademark are not allow. • You can install the coins-operated machines only after getting the permit. • The Groceries shall keep check that they shall not sell tobacco products excluding cigarettes. Goods whose sale is not allow are include morsel, instruments as well as tools of hookah and pipes, additionally to the gas refilling boxes. • Any modification in the grocery license in Dubai are not possible without the approval of the authority. • Not allowed to sell as well as promote a counterfeit goods. • The trade name mentioned in the license must be as it is to the name on the signboard. • The rule and regulation of the country for the sale and also business of different goods must be consider. • Product will show the date of production and also date of expiry. • The store shall involve themselves in any promotional campaigns only after the parent company get the permit. • Not allowed to conduct private promotional offers without any relevant permit. • Not allowed to place sales, discounts or special offers without proper approval. • Not allow to sell fireworks or any toys use gunpowder or flammables. • Not allow to sell any products of herbal, medical, pharmaceutical or cosmetic etc. • Prices must be clearly appearing on commodities and goods. • No business activity shall be entertained after 12 am without a permit. • Not allowed to sell cigarettes to people under the legal age (20 years of age); nor the stores situate at mosques. • The trademark must be register with the Ministry of Economy for its security.